I absolutely love both lemon and lime curds! 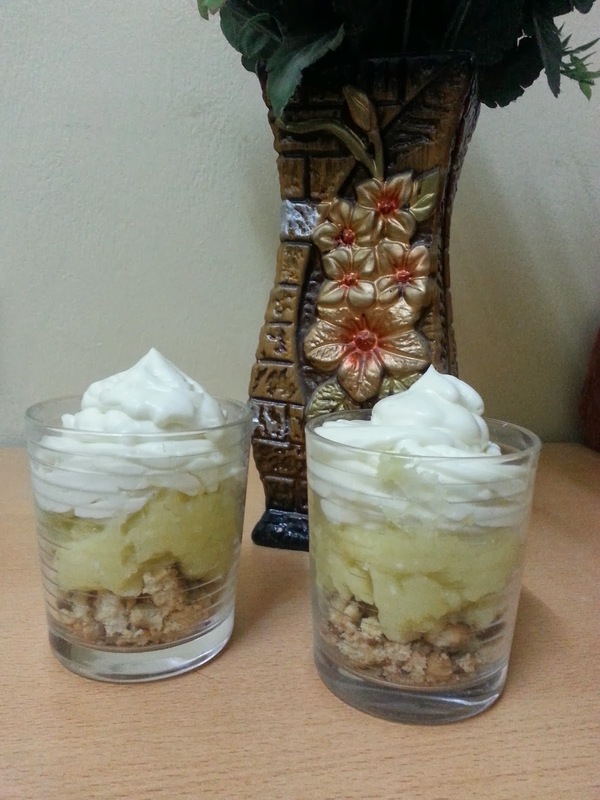 I wanted to share with you this delightful recipe for making delicious lemon or lime curd. This is a quick and simple no bake dessert recipe and great to use in pies, tarts, cakes or cupcakes, cheesecakes, parfaits, and trifles. It should take no more than 10 minutes to make this and makes about 1 cup. 1. In a medium saucepan combine the sugar or sweetener and cornstarch. (If you want to avoid any lumps from cornstarch mix it with very little water). 4. Cook on medium heat and stir till thickened and bubbly. 5. Stir half of the lemon mixture into the beaten eggs. Pour egg mixture into the pan. 6. Cook and stir for 2 minutes more. 7. Cover with plastic wrap and cool. I chose to use my lime curd for a simple parfait. Lime curd spread in the middle. Thank you for stopping by! Yes please let me know your outcome.